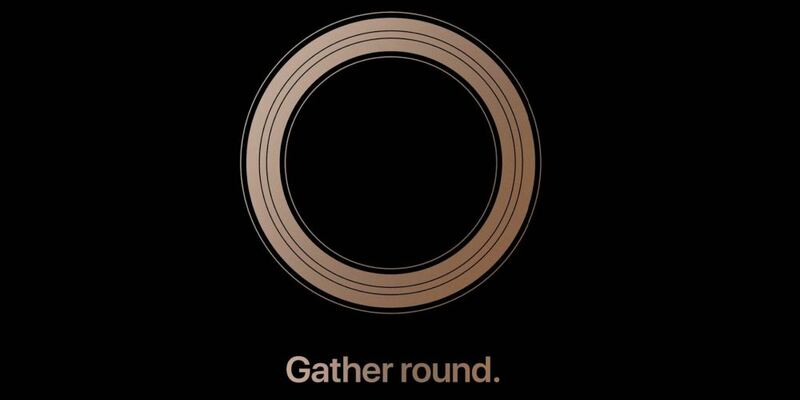 Apple’s September keynote is one of the biggest technology events in the world. At the event, we are expecting to see the unveiling of new iPhones every year. However, Apple is showing the world that the September event is not just about new iPhones. In reality, Apple was expected to announce more things prior to 2018 event, including Apple Watch 4, new MacBook Pro, iPad Pro, and cheaper HomePod. However, not all of them saw the light of day. Apple officially held its annual September event at the Steve Jobs Theater in the Apple Campus. True to rumors and reports, the Cupertino firm debuted three new iPhones including iPhone XS, iPhone XS Max, and iPhone XR. All the three models feature the same design language as their previous models. However, each of them has their own selling points. Apple also unveiled the fourth generation Apple Watch at the event. The new Watch contains lots of new things like a bigger display, louder speakers, or a redesigned digital crown button. This is definitively the Apple Watch we all need from the firm this year. However, there was no mention of the iPad Pro, new MacBook Pro, or AirPower at the event. It seems that Apple needs more time to work on its products and focuses on new iPhones and smartwatches this year. Sources claim that users need to wait a little bit longer until they see new iPad Pro models on the market. In the section below, we have rounded up everything Apple did not announce at its September event. For some background, you now can pre-order the iPhone XS and iPhone XS Max online or at retail stores. And, deliveries are scheduled for September 21. The iPad Pro is one of the most powerful tablets on the market. The release of the iPad Pro aims to replace the traditional laptops as the Pro offers enough power to handle almost all of your daily tasks. However, the first iPad Pro failed to fulfill Apple’s expectations, which gives the company a driving reason to work on its successors. Last year, the second generation iPad Pro took the center stage at Apple’s WWDC event. The tablet features Apple’s A10X Fusion chip, one of the best mobile processors, allowing for two times faster performance when compared to the first model. However, the 2nd Pro has seen a slow sales performance since the launch day as users are shifting their focus to affordable tablets. Sources say that Apple has been working on a new iPad Pro at its facilities with slimmer bezels and glass back. However, it was nowhere to be found at this year’s event. Reports say that Apple is struggling to integrate Face ID into its iPad lineup. Besides, the rumored iPad Pro will not feature a top-notch, instead retaining the same design language as the previous models. According to leaks, the iPad Pro might come with a much-improved Apple Pencil. For some background, Apple Pencil is the highlight of the Pro lineup, allowing users to take notes or stretch their ideas on the display. In March, Apple expanded its Apple Pencil to the new 9.7 inch iPad. Apple’s MacBook lineup is among the best laptops on the market. However, the Air series is falling behind Windows-based laptops out there due to lack of major upgrades. In reality, Apple MacBook Air has not seen a major internal upgrade since 2015, which raises concerns that the company will discontinue the Air lineup. According to sources, Apple is working on an updated MacBook Air, but it remains unclear when we are seeing the device. Last month, reports claimed that a new MacBook Air would make its debut at the September event. However, it did not show up at the event. Some recent reports say that the new MacBook Air will sport a Retina display at launch. In reality, the MacBook Air lineup is the only Apple product that lacks Retina display technology on the market. Besides, the new laptop will feature slimmer bezels while the overall shape remains the same. When it comes to pricing, rumors say that the upcoming MacBook Air will cost around $1200 for the model with the largest storage capacity and Core i7 processor. Meanwhile, the Core I5-powered model will be priced at $799. In terms of iMacs, there were no words on a possible release of new iMacs. However, Apple upgrades its iMacs every year, so a new model may be in the works. Sources from Apple’s supply chains say that Apple has been testing a number of Mac prototypes that appear to be the next generation iMacs. Under the hood, the new iMacs are believed to feature upgraded Intel’s 8th generation processors, and improved GPUs at launch. AirPower is one of the most anticipated accessories on the market. First debuted back in September 2017, Apple AirPower promises to speed up charging time on iPhones, iPads, and AirPods. However, it has been missing since then and there was no mention of it at this year’s event. Apple said that its AirPower will show up in 2018, but the company recently removed everything about it from its website. Previously, Apple’s charging mat release was scheduled for September 12, 2017. However, Apple pushed it back to this year. Sources say that Apple needs more time to deal with issues and improve its charging mat. However, some sources say that Apple killed AirPower, instead focusing on iPhones and iPads.